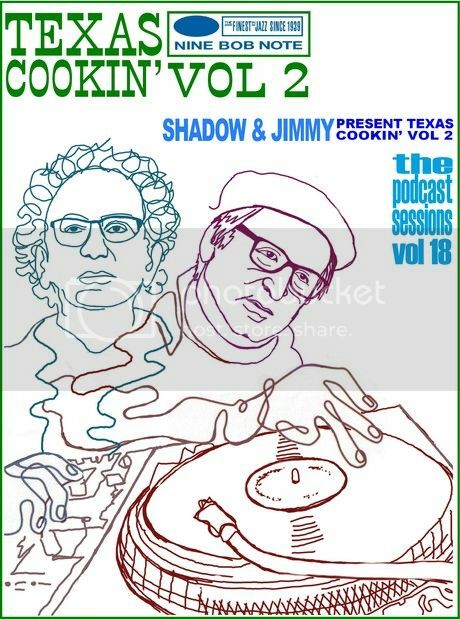 "Shadow & Jimmy go from Bowling Green, Kentucky to Cali, Colombia via Texas and Texas and Texas...."
Further tales of musical travel, with rhythm & blues, scratchy blues, Bert & Curt and a guest (whom you'll know) choosing his Sublime Moment, and setting a competition question for good measure. Thanks guys - an honour to be on No Reason. Especially one that features Barbara Lynn - did u choose her as a Texan left handed girl guitarist to balance Lydia's right handed magic? Of course we did, Garth! Every track is chosen to develop aural syncronicity - we connect musical choice with Jungian forethought to maximise entertainment pleasure. A-hem. I can't think of a track by her that I don't like. Thanks for choosing her. Great interview with the roving lad, Norman! Really enjoyed that, thanks all. Thanks Mike. I'd forgotten about that track by The Evs. I do like that period of their music - they had to move forward, commercially, but were still with their country roots. You can see they'd made the first moves with their haircuts, which they may not have been too comfortable with, but were acting on managerial direction. I just remembered Sidney Poitier and Tony Curtis in "The Defiant Ones", but can't find a video clip. John may correct me, but I think Bowling Green ("the third most populous town in Kentucky": Wiki) makes just one appearance in the birthday lists, at April 13, as the birthplace of Sam Bush. More later Everly's - and a Goffin/King song. This shows they had completely absorbed the changes in pop, I think. One of the only original 50s rock'n'roll acts to successfuly do so. Adam Blake wrote: ...This shows they had completely absorbed the changes in pop, I think. One of the only original 50s rock'n'roll acts to successfuly do so. Hah! Nice one. I know Chuck Berry liked his weed, probably still does. Can't see Jerry Lee or Elvis toking up, though. Richard probably smoked a field full and then declared it to be a mortal sin. uiwangmike wrote: John may correct me, but I think Bowling Green ("the third most populous town in Kentucky": Wiki) makes just one appearance in the birthday lists, at April 13, as the birthplace of Sam Bush. Yes, Ben Keith the pedal steel guitarist did once live there but it wasn't his birthplace. Hahahah!! Jeez, what would he be like if he DIDN'T imbibe? ?